I’ve always had a thing about surfing – as long as I can remember anyway. The trouble is I’m not very good at it. I’ve never lived very close to the sea (well not the sort of sea that actually has proper waves) and to be honest I’m not a great swimmer. This was really irritating when I was younger and good at other sports. Just how the bones get put together I guess. 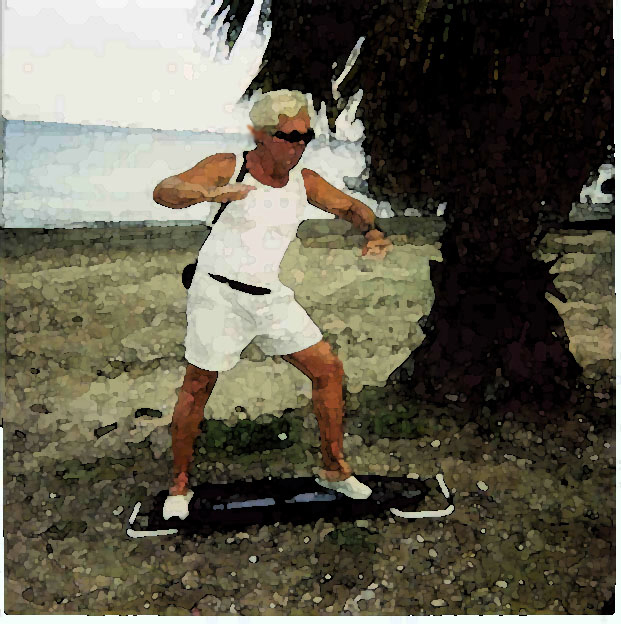 However, it didn’t matter because I knew what surfing was really about – and I had a Silver Surfer T-shirt too. Surfing was about freedom. It was about magic. It was about being transported to a different world. Which is why elves would go surfing of course. They’d be good at it too – curse them. They’d leave the rest of us standing, probably on the beach. They’d have the best boards too and they’d be cool without ever trying to be. If you have to try to be you’re not. I also knew they’d be surfing elves in ‘Detective Strongoak and the Case of the Dead Elf’, and I don’t even remember how they got there. Years before Legolas tried any fancy footwork on a shield certainly. It doesn’t mean I’ve got surfing out of my system. There’s a whole one-man show ready to go – or maybe it’s an epic poem. It’s called ‘Mickey Dora Lived for Me’ and apart from surfing it gets to deal with ‘The Beach Boys’ too. Continue reading Why surfing Elves? Posted on February 3, 2016 February 29, 2016 Categories The First CaseTags detective, Detective Strongoak and the case of the Dead Elf, Fantasy, fantasy writing, surfingLeave a comment on Why surfing Elves?